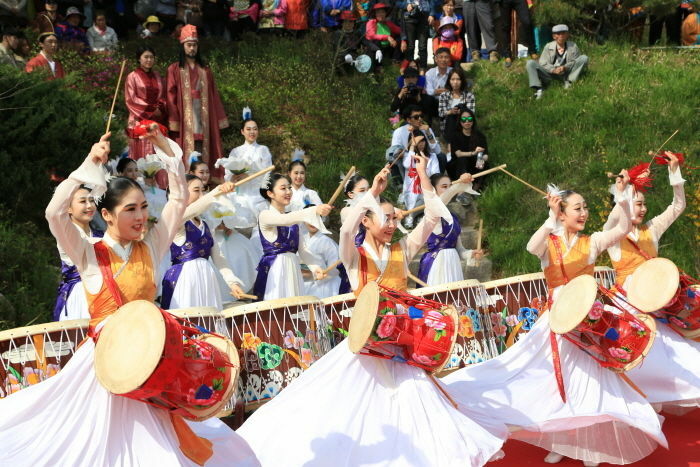 Yeongam Wangin Culture Festival is held in early April when the cherry blossoms are in full bloom to commemorate the achievement of Korea’s Dr. Wangin, who traveled to Japan over 1,600 years ago to spread Korean knowledge, culture, and arts. The festival takes place at Historical Site of Dr. Wangin and Sangdaepo Historic Park. Tourists and local residents can enjoy various events during the festival period. From Seoul Central City Terminal, take an intercity bus bound for Mokpo. From Mokpo Bus Terminal, take a local bus bound for Yeongam and get off at the Historical Site of Dr. Wangin.